A special high purity hydrocarbon solvent, suitable for rinsing, or solent cleaning of all metal parts, and instrument components. 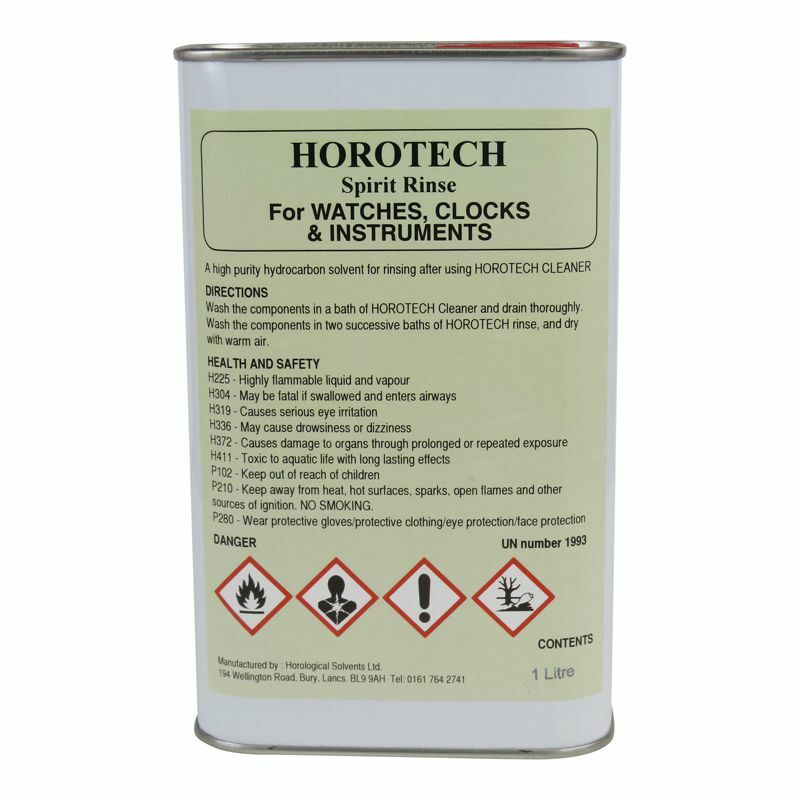 This solvent may be used alone for removing oil residues, or as a rinse after using Horotech Cleaner. Rinse components in two successive baths of Horotech Rinse, drain and dry thoroughly.